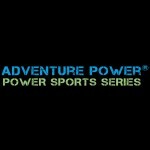 ADVENTURE POWER PowerSport Batteries by Universal Power for extreme adventures﻿ replace 6 volt or 12 volt oem battery for motorcycle, atv quad, scooter, utility vehicle side x side UTV, jet ski personal watercraft pwc, snowmobile, go kart or sport speed sail marine boat. For Harley Davidson, Honda, Yamaha, Kawasaki, Suzuki, Triumph, Polaris, BMW, Can-Am, Kasea, KTM, Vespa, Ducati, Kymco, Ski Doo, Sea Doo, Waverunner, Arctic Cat. UB14A-A2, UB16CL-B, UB30L-B, UB30CL-B, UTX12, UTZ7S, UTX9, UT9B, UTZ10S, UT16CL, UTZ12S, UT12B, UTX14, UTX14AH, UTX14AHL, UT14B, UTZ14S, UTX16, UTX20, UTX20L, UTX20-BS, UTX20HL, UTX20H, UTX24HL, UIX30L, UTVT-1, UBVT-2, UBVT-3, UBVT-4, UBVT-5, UBVT-6, UBVT-7, UBVT-8. 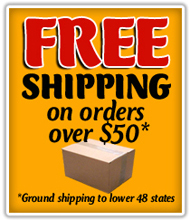 Replaces Yuasa, Yacht, Walmart Wal Mart, Interstate, Sears, Power Sonic, BikeMaster, Parts Unlimited, Drag Specialties. 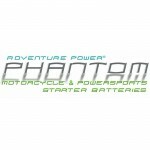 Phantom LifePO4 Lithium Power Sport Batteries APP07L2-BS12, APP09A2-BS12, APP09L2-BS12, APP12A1-BS12, APP14A1-BS12, APP14A2-BS12, APP14A4-BS12, APP14A5-BS12, APP14L2-BS12, APP14L5-BS12, APP18A1-BS12, APP18A2-BS06, APP18L1-BS12, APP18L2-BS06, APP21A6-BS12, APP21L6-BS12, APP24A3-BS12, APP24L3-BS12, APP27A3-BS12, APP27L3-BS12, APP36A3-BS12, APP36L3-BS12﻿. Also known as Shorai LFX07L2-BS12, LFX09A2-BS12, LFX09L2-BS12, LFX12A1-BS12, LFX14A1-BS12, LFX14A2-BS12, LFX14A4-BS12, LFX14A5-BS12, LFX14L2-BS12, LFX14L5-BS12, LFX18A1-BS12, LFX18A2-BS06, LFX18L1-BS12, LFX18L2-BS06, LFX21A6-BS12, LFX21L6-BS12, LFX24A3-BS12, LFX24L3-BS12, LFX27A3-BS12, LFX27L3-BS12, LFX36A3-BS12, LFX36L3-BS12﻿. 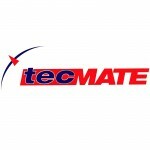 Replace oem Yuasa, Yacht, Harley, Honda, Suzuki, Ducati, Kawasaki, Wal Mart, Interstate, BikeMaster, Yacht motorcycle, ATV quad, scooter, jet ski PWC, snowmobile, scooter battery. 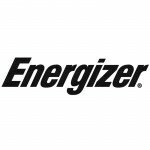 Energizer 3-stage battery charger maintainer tender will keep your conventional flooded, dry charge or sealed agm battery charged and healthy for your motorcycle, ATV quad, scooter, jet ski personal watercraft PWC, snowmobile or UTV side x side, especially recommended for the off season. 12 volt 1 amp, 2 amp and 4 amp chargers.﻿ Energizer 200, 400 and 1000 inverters offer mobile power on the go. Get a jump for your vehicle wherever you are with Energizer Jumpstart 200 and 400 or the All-In-One air compressor, power inverter and vehicle jump starter. 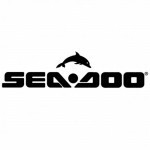 Battery chargers for oem Harley Davidson, Honda, Kawasaki, Suzuki, Yamaha, Ducati, KTM, Vespa, Polaris, Arctic Cat, Sea Doo, Ski Doo, Kymco, Triumph and more. Lifeline Sealed AGM batteries are made in the USA. 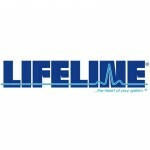 Lifeline batteries are the oem original equipment batteries for many yacht, fishing, ski, sail and speed boat water craft pleasurecraft, as well as RV recreational vehicle motor coach manufacturers. 12 volt, 6 volt and 2 volt Deep cycle battery models are GPL-L16-2V, GPL-6CT-2V, GPL-4CT-2V, GPL-31T-2V, GPL-L16T, GPL-6CT, GPL-4CT, GPL-8DA, GPL-8DL, GPL-4DA, GPL-4DL, GPL-30HT, GPL-31T, GPL-31XT, GPL-27T, GPL-24T and GPL-U1. 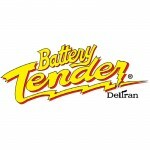 Starting or Cranking battery models are GPL-1400T, GPL-2400T, GPL-2700T, GPL-3100T All Lifeline batteries carry a 5-year prorated warranty and a full 1 year warranty.﻿ Replace Deka Intimidator Sea Mate, Trojan, Interstate, Optima, 8A4DM, 8A8DM, 8A31DTM, 8A27M, 8A24M, 8A22NF, 8AGC2. 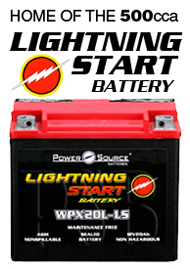 Outdo PowerSport Batteries for extreme adventures﻿ replace 6 volt or 12 volt oem battery for motorcycle, atv quad, scooter, utility vehicle side x side UTV, jet ski personal watercraft pwc, snowmobile, go kart or sport speed sail marine boat. For Harley Davidson, Honda, Yamaha, Kawasaki, Suzuki, Triumph, Polaris, BMW, Can-Am, Kasea, KTM, Vespa, Ducati, Kymco, Ski Doo, Sea Doo, Waverunner, Arctic Cat. YB14A-A2, YB16CL-B, YB30L-B, YB30CL-B, YTX12, YTZ7S, YTX9, YT9B, YTZ10S, YTZ12S, YT12B-BS, GT12B-4, YTX14, YTX14AH, YTX14AHL, GT14B-4, YTZ14S, YTX16, YTX20, YTX20L, YTX20-BS, YTX20CH-BS, YTX20HL, YTX20H, YTX24HL, YTX30L-BS. Replaces Yuasa, Yacht, Walmart Wal Mart, Interstate, Sears, Power Sonic, BikeMaster, Parts Unlimited, Drag Specialties, Adventure Power, Power Source. 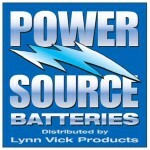 POWER SOURCE PowerSport Batteries by LVP Distribution replace 6 volt or 12 volt oem battery for motorcycle, atv quad, scooter, utility vehicle side x side UTV, jet ski personal watercraft pwc, snowmobile, go kart and big bore V-twin bikes﻿. For Harley Davidson, Honda, Yamaha, Kawasaki, Suzuki, Triumph, Polaris, BMW, Can-Am, Kasea, KTM, Ducati, Vespa, Kymco, Ski Doo, Sea Doo, Waverunner, Arctic Cat. CB14A-A2, CB16CL-B, CB30L-B, CB30CL-B, WP12-BS, WPZ7S, WP9-BS, WP9B-4, WPZ10S, WP12B-4, WP14-BS, WPX14AH-BS, WP14L-2, WP14B-4, WPZ14S, WPX20-BS, WPX20L-BS, WPX20L-LS 20ah 500cca Lightning Start﻿, WP50-N18L-A3, WP50-N18L-A, WP16CL-BS, WPX30L-BS, WPX30CL-BS, WPX30L-LS 30ah 600cca Lightning Start, WPX30CL-LS, WPX20CH-BS 18ah 370cca﻿, WPX30CL-BS, WPX4L-BS, WP4B-BS, WP5L-BS, WP7A-BS, WP7L-BS, WP12A-BS, WPZ12S, WPH16-A2, WPH16-BS-1, WP20-12i. Replaces Yuasa, Yacht, Walmart Wal Mart, Interstate, Sears, Power Sonic, BikeMaster, Parts Unlimited, Drag Specialties, Adventure Power, Motocross, Koyo, ProStart, WestCo, WPS, Xtreme, SuperCrank, CarQuest, GS Battery.